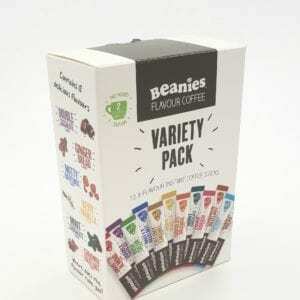 7 assorted porridges, your favourite flavours in one great-value box. Yum! 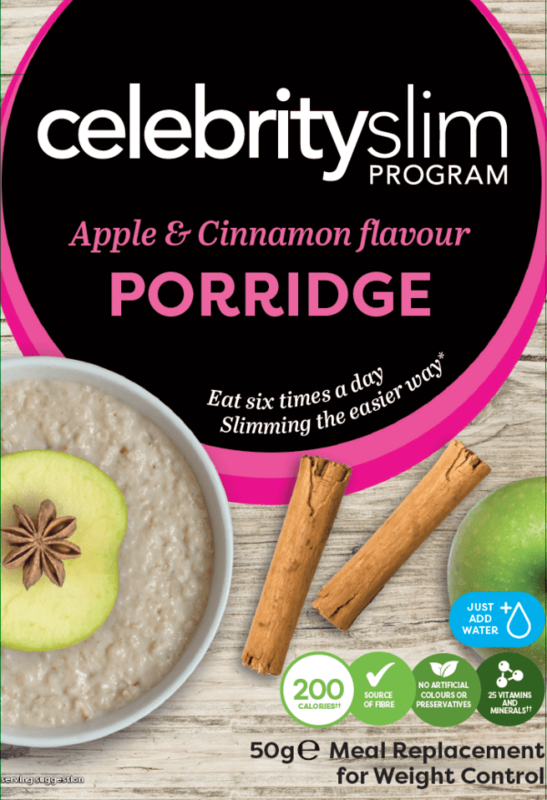 Each Celebrity Slim Meal Replacement porridge sachet contains a nutritionally balanced combination of protein, carbohydrates, fats, vitamins and minerals, to sustain your energy while you lose weight. 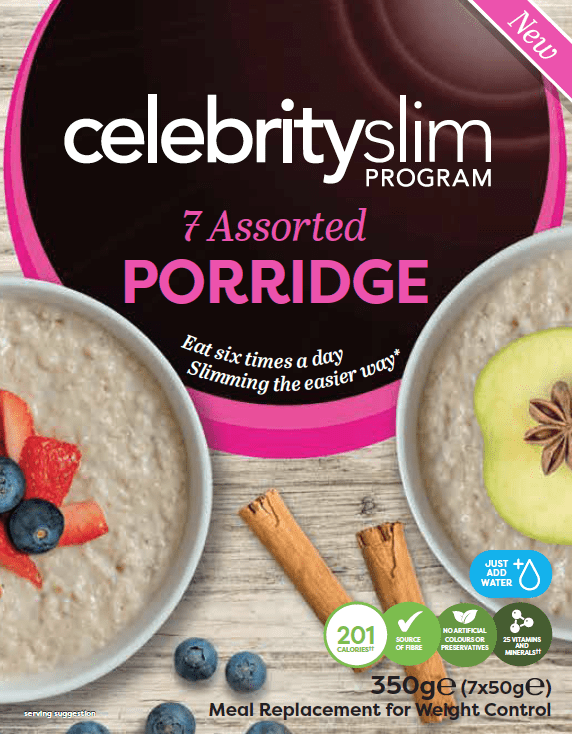 Directions for use: Simply replace two meals a day with Celebrity Slim Shakes, Porridges, Soups or Bars and eat one healthy balanced meal and 2-3 healthy snacks each day. Oats (Gluten), Skimmed Milk Powder, Whey Protein Concentrate (Milk), Soya Protein Isolate, Vegetable Oil (Soya), Calcium Caseinate (Milk, Soya), Fructose, Inulin, Minerals (Potassium Phosphate, Magnesium Oxide, Ferric Pyrophosphate, Sodium Selenite, Potassium Iodide, Zinc Oxide, Sodium Molybdate, Manganese Sulphate, Copper Sulphate, Chromium Chloride), Dried Glucose, Emulsifiers (Soya Lecithin, Carrageenan Gum, Sodium Tripolyphosphate), Vitamins (Vitamin C, Vitamin E, Folic Acid, Niacin, Vitamin A, Vitamin K, Pantothenic Acid, Biotin, Vitamin B12, Vitamin D, Vitamin B6, Riboflavin, Thiamin), Flavourings, Salt, Anti-Caking Agent (Silicon Dioxide), Green Tea Extract. 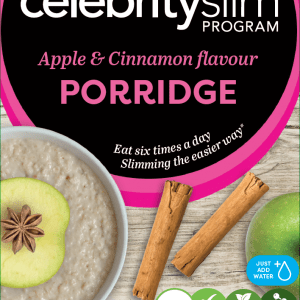 This product is a meal replacement for weight control. 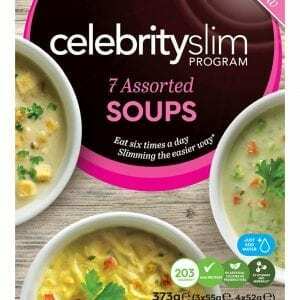 This product is useful for the intended use only as part of an energy restricted diet and other food is a necessary part of the diet. This product is a formulated meal replacement. 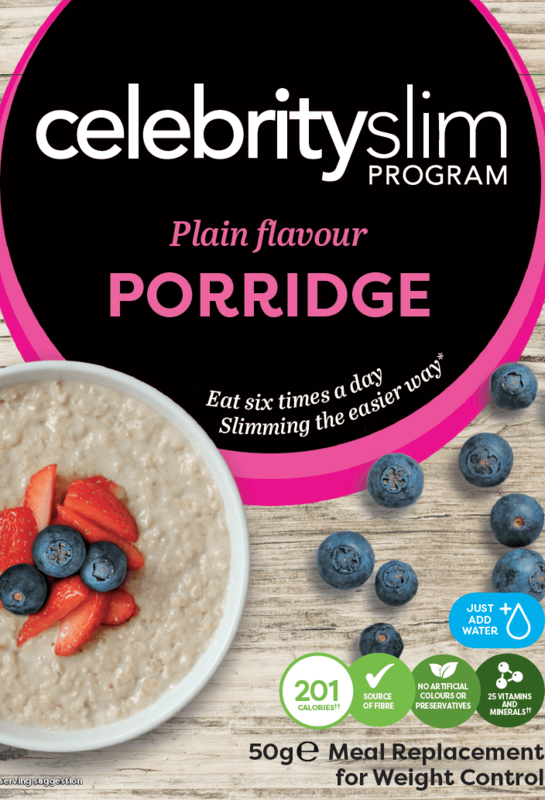 It is not to be used as a total diet replacement and should be used in conjunction with an exercise programme. If you have any medical conditions or are taking any medication, please contact your Healthcare professional before starting on the programme. Not suitable for pregnant or breastfeeding women or children under 16 years of age.